Try this link https://www.youtube.com/watch?v=p1GkR54wQaM . It is a love story … but can be equally applied to our love of our country and the sadness we feel about having “lost” those heady Rainbow Nation days of the early nineties. Looking back, we had a great run through the Nineties all the way to 2007/8 when the kleptocrats seized power of the governing party and matters turned decidedly “South” in the decade that followed. Like the lyrics in the song, few of us saw what was coming and how devastating the change would be to our country. In an article written by Marianne Merten and published by the Daily Maverick on 1 March 2019 it is estimated that the cost of State Capture over the second term of the Zuma Administration hovers at around R1.5-trillion! That is just short of the R1.8-trillion Budget for the whole country for 2019. Well, we are “number crunchers” as well – so it’s time to put things in perspective. These costs average nearly R10-million down the drain every day over the 5-year period. 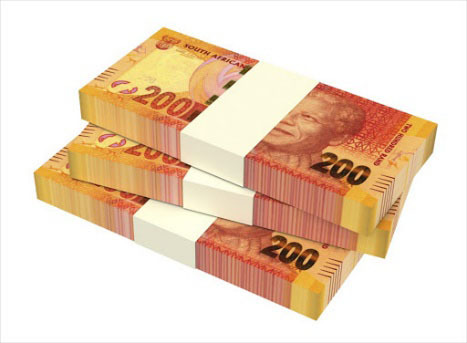 If you stole R1-million every day of the year – it would take you 40 years to amass the fortune lost to the people of South Africa! 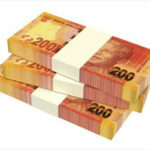 If you tried to stack that amount in cash notes – you would need 75-billion R200 notes. One note stacked on the other would go 3 times round the earth, then up to the moon and back again [nearly 900,000 kms of R200 notes stacked on top of each other]! 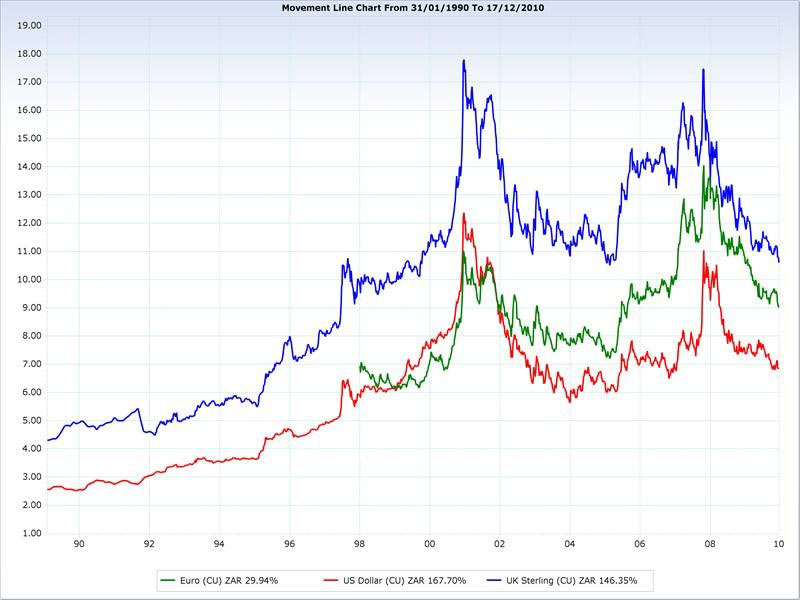 Looking back – here is a chart we used in a Finlaw Newsletter back in 2010 [looking over my shoulder again]. It shows the Rand exchange rate to the Pound Sterling – blue line, to the US Dollar – red line and to the Euro – green line. It begins in 1990 at R2.50 to the Dollar and R4.20 to the Pound. Our currency weakens as the lines rise and strengthens as the lines slide down the chart. Notice how fast the Rand falls out of favour [weakens] and it strengthens again far more gradually. The chart ends in mid-December 2010 with the Pound at R10,80, the Euro at R9,00 and the Dollar at R6.94!! The focus of the 2010 news letter was to encourage clients to increase their exposure to global markets as we believed that from 2010, they would enjoy better returns there with less risk and lower volatility. It was a great time to take advantage of exchange rates too. As it turns out – we were spot on with our predictions – even though we had no idea at the time that Brexit would enter the equation, along with Trump, trade wars, mass migration, Russian meddling etc. The S&P500 index is a useful proxy for global investing as it includes 500 companies listed in America which trade across the World. The graph shows how good the growth was in real money ($’s). 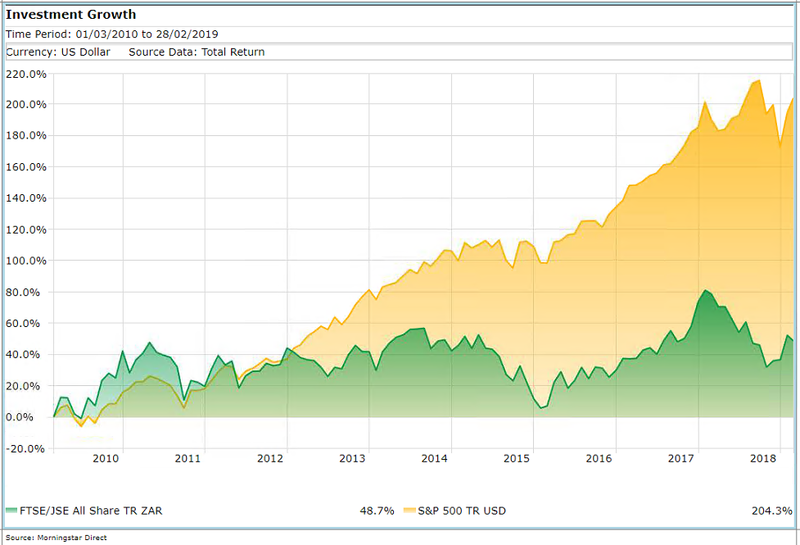 Over the 9 years charted – our local All Share Index would have grown Dollar wealth by 48.7% as against the S&P500 which would have done so by 204.3%. We have encouraged clients to measure their wealth in first world currencies [Pounds, Dollars or Euros] even though we live in a ZAR based country, especially when it comes to investing offshore. However, we know that most clients can’t help being drawn to their ZAR values … so to doubly prove our point about where higher growth can be found – here is the SAME graph – but this time measured in ZAR growth for both indexes. Over the past 9 years our local share market will have returned 172.7% in ZAR. Notice in particular how the last 4 years have been fairly flat. 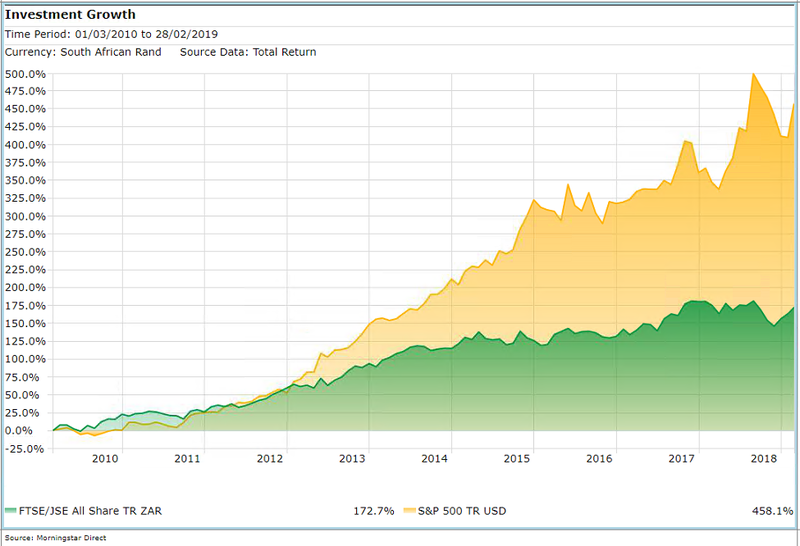 By contrast the S&P500 would have grown by 458.1% in ZAR over the same 9-year period. The other message we want to convey in these graphs spanning nine years is … stick to the plan and remain invested through the cycles. 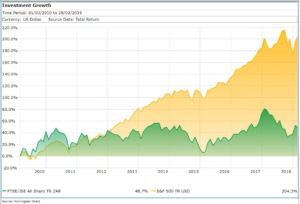 Our client investment strategies are never in pure share markets – but rather well diversified across asset classes to reduce the volatility you will see in the above charts. The recent plunge in values [end November] have already been largely recovered by end February – and over longer periods of time your patience will be rewarded. By the end of the next quarter, end May 2019, the local elections will be over, Brexit will either be in place or abandoned, the trade wars settled, and Trump will still be tweeting / or is it bleating? We all hope for a return to local growth, political and policy stability so that the true potential of our country can be achieved in the decades ahead. 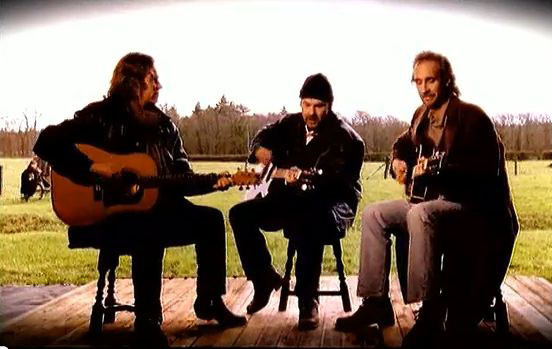 ♪♫ … Always look on the bright side of life … ♫♪.